November 08. 2011 | By Valerie C.
Bradford Cox is one busy man. He has a rapacious need to create music. Besides fronting Deerhunter, which he calls a collaborative effort, he simultaneously puts out music on his own. Parallax, his latest release under the Atlas Sound moniker, may be his most crystalline work to date. When I first heard “Found money and fame. But I found them really late.” the first line from “The Shakes” and the first song off Parallax, I was done for. And in fact, I couldn’t get past the song for a few days. 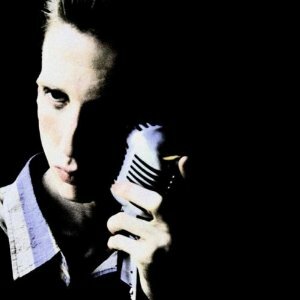 Each subsequent song pulls you further into Atlas Sound’s universe. Like the dream pop loveliness of “Te Amo” and “Doldrums,” with its beautiful quirkiness, full of oddly pitched tones with Cox’s clear voice, serving as the light that makes us see the loveliness in the imperfections. Cox classifies Parallax’s genre as science fiction. Although the record is peppered with the occasional genre bending hiss, sonic experimentation, and sometimes-deliberate disregard of pitch, everything still feels anchored and grounded due to that mellifluous voice. Auditory senses vary from person to person. Some people hardly notice slight sound variations, but to others, the slightest deviation from what one perceives to be a perfect tone transforms it into the sound of nails on a chalkboard. Yet the genius of an artist like Bradford Cox is his ability to break these barriers of sound and make one realize that the structure of music doesn’t have to fit into any particular mold for it be regarded as anything but beautiful work.